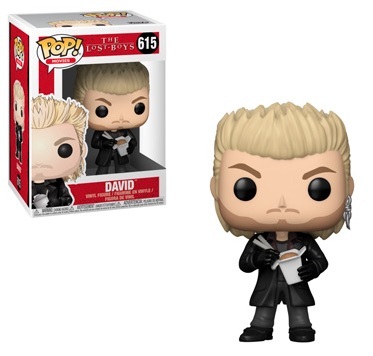 The 1987 teen horror flick is further immortalized with Funko Pop The Lost Boys vinyl figures. Pitting the Emerson brothers against vampires in Santa Clara, California, the set offers some key names and an exclusive two-pack. 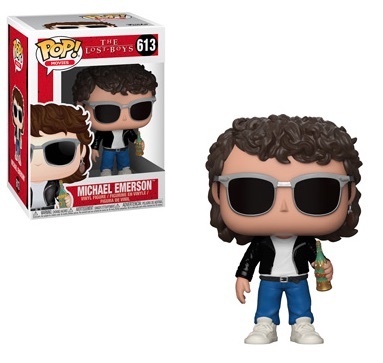 Capturing the magic of the '80s clothing style, the Pop! 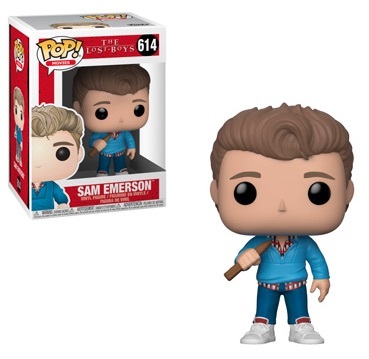 Movies figures for Michael and Sam Emerson (Corey Haim) do not disappoint. Michael rocks wild hair, sunglasses, blue jeans, and a black leather jacket. His brother, Sam, wields a wooden stake. 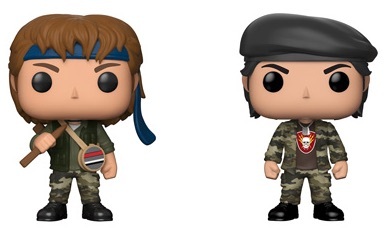 Shop Funko Lost Boys Figures on Entertainment Earth. The head vampire David, played by Keifer Sutherland, wears all-black clothing and chows down on his noodles and rice (or is it maggots and worms?). 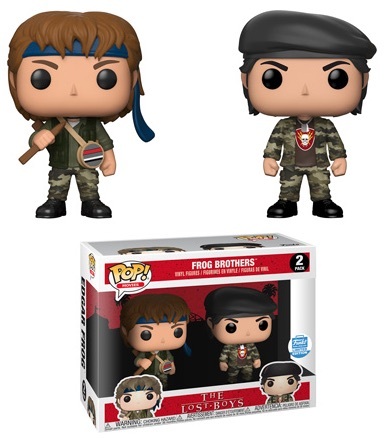 Collectors and fans can also find the Frog brothers in Funko Pop The Lost Boys through an exclusive two-pack at Funko Shop. Featured in a military look, Edgar Frog (Corey Feldman) and Alan From are the local vampire hunters.